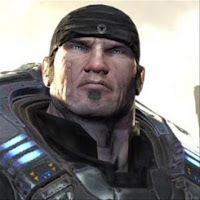 For a good while today many fans of the Gears of Wars video game series were taken aback by reports that Epic Games president Michael Capps had remarked at the Tokyo Game Show that the next installment in the series would have to wait for the next generation of consoles: putting it around 2011-2014. Which would be an awfully long wait. After the event, Capps told Eurogamer that if there is another Gears of War in the the next four to five years, it would appear on existing platforms. If it's based on the next Unreal Engine though, it'll have to be for next-gen hardware: "If we ship a game in the next few years, it'll be Unreal Engine 3. If we ship a game on next [generation] consoles, it will likely be Unreal Engine 4," he confirmed. That makes sense. I could see at least one and maybe even two more Gears of War coming out based on the existing Unreal Engine 3.